It’s a little like the 1950/60’s TV show To Tell the Truth – would the real AURALiC Aries Mini please step forward? This Chinese company’s entry-level streamer wears many hats. That’s good news in a product category where functionality often matters as much – if not more than – sound quality alone. Many an end user will take a pass on a streamer should its control app walk with a limp, arrive bug-ridden or not do gapless playback. No such issues trouble the Aries Mini when used in tandem with the all-new iPhone version of AURALiC’s Lightning DS app. We’ll get to that shortly. Here are the basics: the Mini pulls music from the cloud and/or home-based data storage and sends it onward to an existing DAC or amplifier. Street price: US$549. Plastic shell. Colour choices: black or white. Optional low noise linear PSU for US$299. Forget about the streaming service connection for a moment. Whilst the Aries Mini can fetch content from a UPnP/DLNA-serving network node, the client-server relationship isn’t an exclusive one. 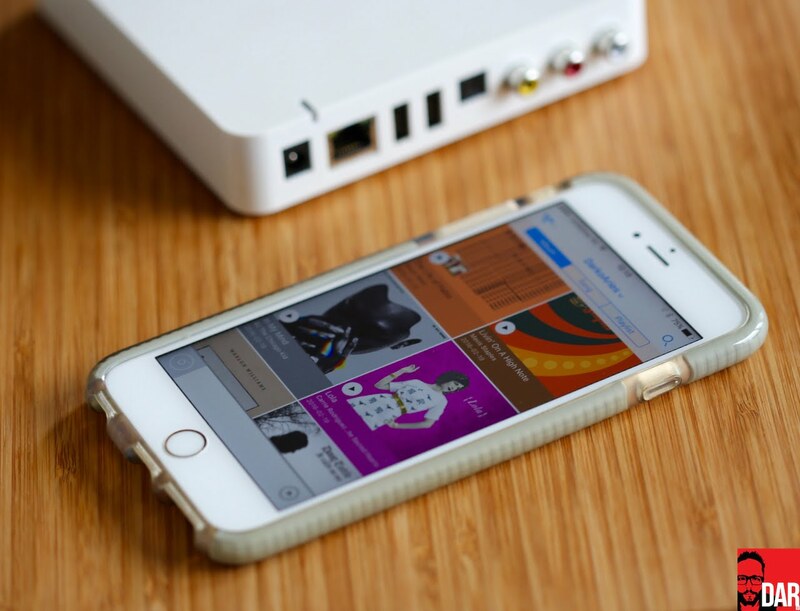 The Aries Mini – she’s free to see other people like Messrs Bluetooth and Airplay. It’s an Airplay DAC; it’s a Bluetooth DAC. Not only though. The Aries Mini’s key drawcard is self-sufficiency. How so? 1) Hook an external hard drive full of tunes into its second rear-panelled USB port or 2) install a 2.5” SSD/HHD into its hull and it becomes its own independent twofer; music server and playback client running on a single device. 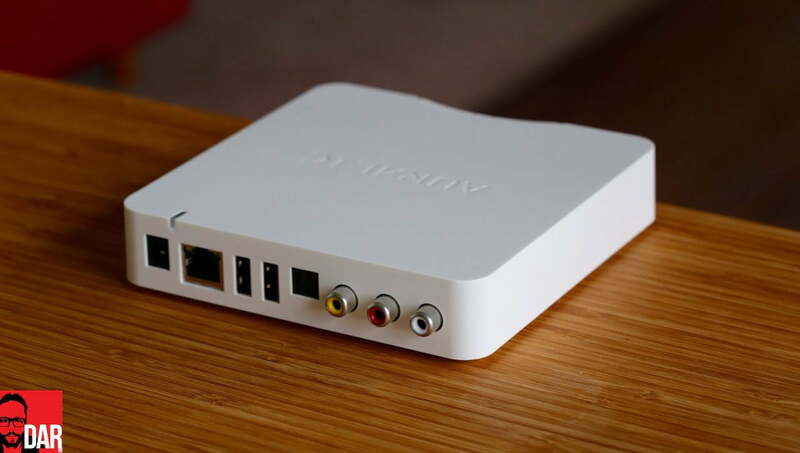 One Mini can even stream to another Mini; or any other UPnP-capable network device for that matter. In this context, the Aries Mini is a WiFi-able NAS drive. (Pro tip: add your music AFTER installing the drive). 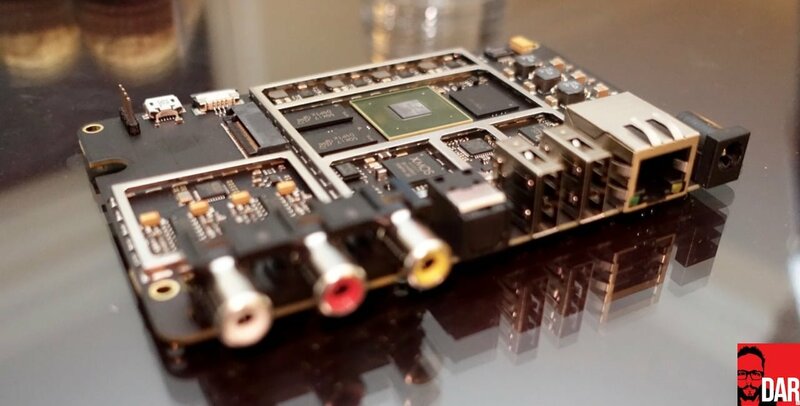 On internal fit out AURALiC have specified an almost identical Tesla hardware platform to the original Aries (US$1599) and Aries LE (US$999): quad-core 1GHz ARM Coretex-A9 processor but with 512Mb RAM instead of the forerunners’ full Gb. A customised Linux operating system takes the digital audio stream from input to output. Network connectivity comes via Ethernet or WiFi. However, the key to the Aries Mini’s multi-role magic isn’t attributable to its hardware (fixed in place) as much as it is the software/firmware that enjoys manufacturer updates over the air. 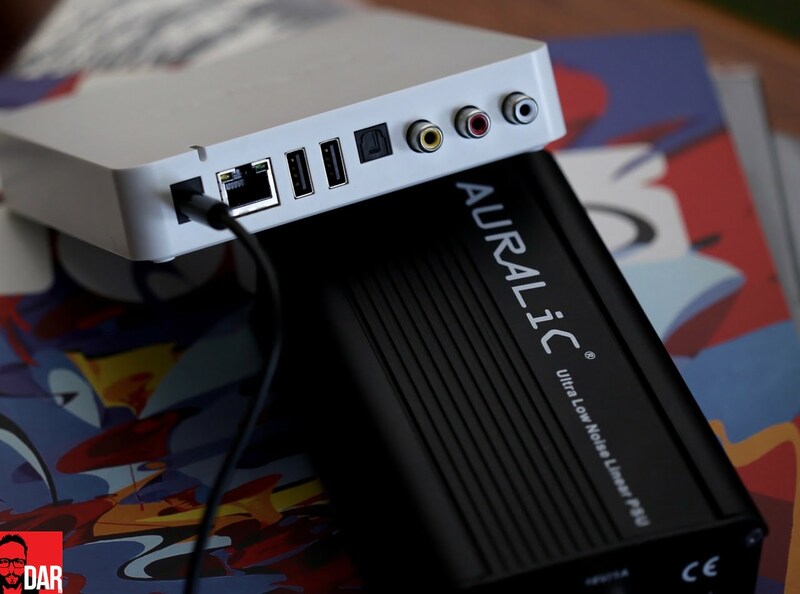 AURALiC’s Lightning DS (LDS) platform is used to set up and configure the unit as well as control song selection and playback. Initially it came to market as an iPad-only proposition with the promise of more, soon…only to meet with its fair share of ups and downs. Proving an insurmountable challenge for AURALiC’s, the Android control app was nixed last year leaving Samsung-ers and HTC-ers to twist in the wind. On the other side of the smartphone divide, a heavily reworked interface heralded the arrival to the App Store of an iPhone-compatible LDS in January 2016. It’s AURALiC’s most intuitive, stable, feature rich and speedy remote control app to date. With the iPad, forum chatter pegs the Aries Mini’s setup as a somewhat of hit and miss affair. It’s flawless for some, less so for others. I fall into the Camp Flawless. Almost. The iPad LDS has seen but a handful of spontaneous self-quits since October and almost all occurred whilst browsing the local library on a remote server. Number of issues experienced at the hands of the iPhone app? Zilch! Not a single crash or glitch since its installation to an iPhone 6S+ five weeks ago. The iPhone app’s in-built device setup wizard showed itself to be rock solid, even when marshalling a purely wireless setup that first demands a (temporary) direct WiFi connection between iOS device and Aries Mini. Mind you, I consider myself reasonably tech savvy. For those needing a little more handhold during setup AURALiC offer an online Knowledge Base at support.auralic.com. Once connected to a home network and pointed at music sources, the Mini’s settings allow for output selection (USB or S/PDIF + analogue), operation mode (Lightning Device or UPnP renderer), network connection (wired or wireless) and the toggling on/off of Airplay and Bluetooth – none of which changes interrupt music playback. The three buttons that line the front-top edge handle play/pause and forward/next but can also be reassigned (in-app) to mute on/off and volume up/down. So convinced are AURALiC of this new Lightning DS’s superiority to the original iPad version that their in-house software dev team are reportedly now midway through porting this refreshed look and feel back to the iPad. I don’t blame ‘em. “We are working on new iPad version of Lightning DS now, the iPad will share same UX design of iPhone in the future. I don’t have an exact timeline but it’s not far away,” says CEO Xuanqian Wang. The UX referred to by Wang relates to the skinning of – and metadata provision for – Tidal and Qobuz. 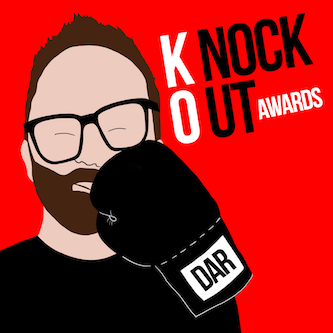 With heavy echoes of Roon, the iPhone app serves up artist biography and ‘similar artists’ as well as ‘top songs’ and ‘all albums, EP and singles” by that artist. With an improved metadata layer it’s not hard to imagine someone buying an Aries Mini solely to access their streaming service of choice – as long as it’s lossless. US residents (only) get the added bonus of a year’s Tidal Hifi. 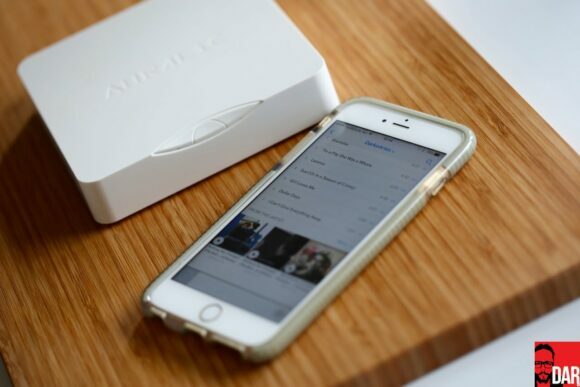 AURALiC’s commitment to the best available streaming quality is underscored by their stance on services like Spotify and Pandora: lossy streamers are directed toward the Mini’s Bluetooth 4.0 input. This is where the Sonos Connect leapfrogs the Johnny-come-lately. Sonos is still the king of the hill when it comes to in-app streaming service breadth. Back on the Mini, Spotifyers and Pandoras with Apple devices will hear better wireless-direct sound quality than Bluetooth by using Airplay. I punched in Bowie’s “Loving The Alien” on the Lightning DS app before returning to the office desk for a Resident Advisor DJ mix podcast from Sunil Sharpe, routed wirelessly by the MacBook to the Aries Mini via OS X’s in-built Apple streaming protocol. The Mini isn’t classified as Roon Ready and probably isn’t likely to be. How else should AURALiC delineate its product skews when the Mini already arrives with MORE features than its predecessor for a third of the asking price? To those who would outwardly express for reals anger at AURALiC’s decision to hike the price on the Aries Mini between its Munich HighEnd ‘15 birth (at US$399) and Stateside Christening at RMAF ‘15 (at US$549), I just cannot relate; manufacturing and distribution circumstances change. Could it simply be that AURALiC announced the Aries Mini (pricing) too soon? A manufacturer must ensure all ducks are in a row before product launch. Perhaps a tease of “less than $1000” might have been more appropriate for Munich? Oh, hindsight, you twicer you. Another position to which I cannot relate either: those who feel entitled to full Roon Readiness in the Mini. ‘I want’ doesn’t always get. Consider this: with DAC built in, MQA compatibility is more likely to land here before the Aries/LE. The Mini sells for far less and rather than pare back Big Dadddy’s feature set, AURALiC are offering difference – built in DAC and hard-drive undercarriage – instead of less. Besides, the Mini can still interface with a Roon Server via Airplay. The magnitude of this compromise will depend on one’s need for hi-res/DSD- and/or asynchronous network-streaming. Airplay restricts data rates to 16bit/44.1kHz or 16bit/48kHz PCM whilst its data clocking is controlled by the transmitter and not the receiver (aka Endpoint). 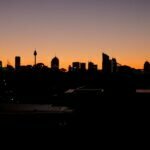 The beauty of Roon’s RAAT protocol is that its Endpoints control data clocking. RAAT is to network streaming what asynchronous USB receiver chips are to DACs – but that’s a story for another day. Customers wanting the whole Roon Ready shebang must pony up for the Aries or Aries LE. These costlier models are reportedly to ultimately see room correction and DSD up-sampling capabilities – to be added via firmware update. However, if rumours and the inherent uncertainty of update timing make you nervous, then all the more reason to the Aries Mini’s existing feature set? Less adventurous readers are advised not to hang their hat on nebulous promises of “soon”. DSD: lest we forget. Whilst we’re taking hi-res audio, Sonos offers considerably broader streaming service integration than the Aries Mini, yes, but thumbs its Californian nose at anything other than Redbook (and its lossy variants). On the other hand, the Tidal/WiMP/Qobuz-restricted Aries Mini will happily dispatch up to 24bit/192kHz over each of its S/PDIF outputs: Toslink and coaxial. Better still, the Mini’s USB output and internal DAC can parse PCM up to 24bit/384kHz and DSD up to quad-rate. Nothing but 24bit/192kHz and single-rate DSD in my hi-res library. An SACD rip of Depeche Mode’s Music For The Masses streamed flawlessly, even over WiFi. No dropouts. None. Before we get to the Mini’s talents as a DAC, let’s talk about how it plays as a digital transport. Want the benefit of Femto clocks? You’ll need the more deluxe Aries. More accurate/stable clocking might be the reason why the original Aries retains a slight edge over Junior on tonal mass and treble smoothness whilst feeding a Schiit Gungnir Multibit over USB. The DAC’s output here was amplified by Vinnie Rossi’s ‘super-integrated’ LIO which in turn drove a pair of Spatial Audio M4 open-baffle loudspeakers. This digital realm difference was subtle but noticeable. However, the delta narrowed to almost vanishing point when played out through Audioengine A5+ active loudspeakers OR with the Aries’ external ‘low noise’ linear power brick applied to the Mini in the afore-detailed main rig. That’s interesting! Said linear PSU is available separately for US$299. Interesting squared arrived with the Aries Mini’s USB output pitted against a 2014 MacMini running Roon. I preferred the Aries’ slightly more effortless manner when delivering Orbital’s Blue Album and Ry Cooder’s Paris, Texas. Splitting hairs further, the Aries Mini can’t quite match the fluidity of the Wyred4Sound-modded Sonos Connect but is mercifully free of the metallic sheen that plagues a stock standard Connect’s coaxial output. That said, the Aries Mini is better aimed at those wanting to kick things off with an internal DAC and then add a third party decoder down the line as inclination and budget allows. An ESS Sabre 90182KM chip handles D/A conversion and its implementation here is very good indeed. The Mini’s analogue output aces the Sonos Connect at every turn: from Battles to Nils Frahm, the AURALiC box sounds tonally richer, fleshier and has greater resolving power. The AURALiC Mini also sounds more musically alive than the Squeezebox Touch. However, I’d recommend first playing with the Mini’s four ‘Flex filter’ modes, trickled down from the Vega, before adding the AURALiC linear power supply. Switching things up to an external DAC should be a tertiary concern. The linear brick relaxes high-frequency-led transients more than the stock switcher. In other words, the linear PSU better quiets any hints of digititus. A spoonful of sugar helps the medicine go down. In fact, powered by the Linear PSU the Mini’s own DAC is good enough to give pause to those regularly afflicted by upgraditis. Know that the Multibit Bifrost from Schiit builds upon the Mini’s existing personality by providing yet more richness and detail resolve. The Chord Mojo is more of a departure – firework show dynamics that introduce us to a more overtly tantalising listening experience. The Aries Mini doesn’t (yet) have the apps-for-all-platforms approach of Sonos, nor does it have such comprehensive streaming service integration. If AURALiC’s intent from the outset was one of quality over quantity, they’ve nailed it with the Aries Mini. You buy one because: 1) you demand better sound quality than a Sonos Connect; or 2) you want to play back hi-res audio; or 3) you prioritise lossless streaming over lossy; or 4) you already have an iPhone (or iPad); or 5) you don’t mind stumping up the extra US$199 for an iPod Touch which will also run the iPhone version of LDS; or 6) you don’t want a computer in your hifi rack; or 8) you don’t want to run a music server elsewhere; or 7) you want something self-contained that with linear PSU added bests the sound of a MacMini. The Aries Mini’s core message is flexibility. It’s a hat stand! That’s especially true for newcomers to the digital audio game or those looking beyond the entry-level streamer horizon that has remained largely unchanged since crisp definition by Sonos and (the long gone but not forgotten) Logitech Squeezebox well over a decade ago. The AURALiC aces ‘em all on sound quality, availability (vis a vis the Squeezebox Touch) and connectivity whilst finessing the package with features that Sonos should have added to their Connect (formerly ZP90) aeons ago but didn’t. Sonos audiophile-space loss is AURALiC’s gain. Put simply: for iOS users the Aries Mini is a truly wonderful entry-level streamer. 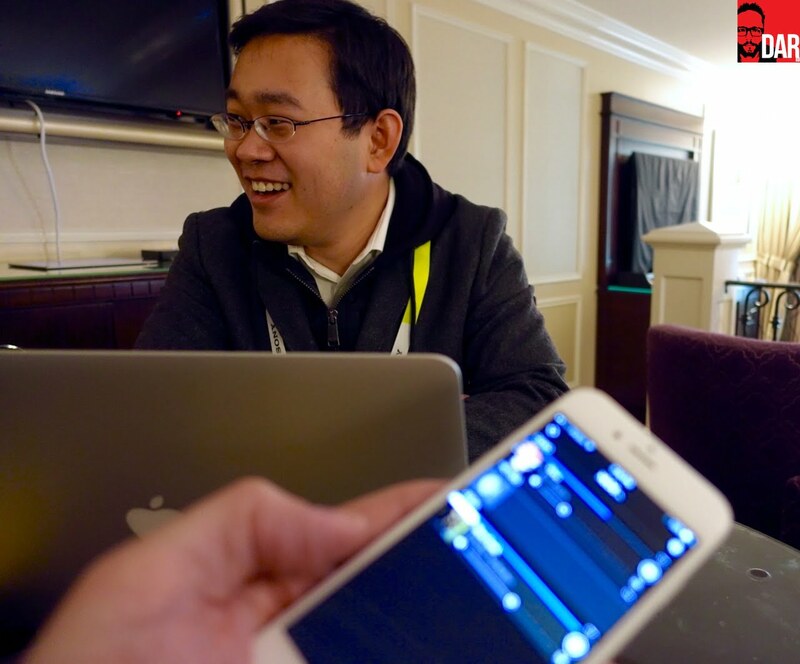 AURALiC’s CEO Xuanqian Wang at CES 2016. “Thanks John for the insightful review of our new little box. ARIES MINI is a product that targets a different market: not actually for audiophiles but for people who are seeking higher sound quality than from a Sonos type of device. I would like to clarify the price change of the ARIES MINI. The price of the ARIES MINI was set at $399 when we launched it at the Munich show in 2015. After careful consideration, we decided to bundle one year’s TIDAL HiFi subscription in U.S, with a value of $240, to promote streaming technology to the biggest market worldwide. The price went up by $150 to $549. AURALiC need to pay the TIDAL subscription so we actually use our margin to cover this part of the cost. This bundle is U.S-only because we are doing distribution in U.S by ourselves and we are able to give up the margin but I can not actually offer this to the rest of the world. We actually lose money on our distribution in U.S for each ARIES MINI we sell there. For the rest of the world, the retail price is still US$399 (without local tax) so nothing has changed. AURALiC is going to offer those customers 90 days free TIDAL HiFi to those who have never had a TIDAL account before. This will happen in the next couple of months. The coupon will be distributed automatically through Lightning DS to the end customer. AURALiC will keep working to improve the streaming software. The next important feature which we will bring in is the ‘party mode’ – you will be able to group several streaming devices and let them play together. The Lightning DS iPad version is also being reworked to match the design with current iPhone version. Virtually, we are working to change the Lightning DS from a hardware control software to a music discovery platform and we believe our team is pretty good at doing it. You will see quite a lot of changes on the software side this year. John, I find it interesting that Auralic describe the Aries Mini as a “non-audiophile” device. Perhaps I am too easy to please (or Auralic staffers are too hard to please) but I find the output from the Mini via the USB or the coaxial to be of a very high quality and perfectly fine in a high-end system used as a transport with a good DAC. The only thing non-audiophile about the device, IMO is the price! I concur. And of course being an audiophile means you’re on a sliding scale of involvement (as with any hobby) and not subject to being ‘in’ or ‘out’. P.S. I am really hanging out for the web based version of Lightening DS. I am running an Android device and that experience has not been as troublesome as I thought it might given Auralic’s abandonment of Android but a non-platform specific interface would be a boon. As a Squeezebox Touch user then, I would be pleased with the upgrade in sound of the mini over the SBT? I’ve a pal here in Sydney who finds the Mini’s sound quite a bit better than the SBT. I had a SBT for a number of years. I found the SBT excellent whilst I owned it but in hindsight, the Aries Mini (to me) offers a higher level of transparency and detail. Through good gear it sounds very involving. I had a SB Touch (w/ EDO mod) and have found the Mini (w/ optional power supply) to be quite and improvement. 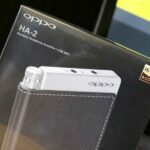 [Used w/ OPPO HA-1 and various headphones). The Lightning DS on the iPhone isn’t bad, especially if your goal is to simply get to you music and hit “play.” The iPad version will be converted over to the iPhone version soon. For a product that has been talked about so much they sure do make it hard to buy one. Dealers in my country (Canada) that actually have anything are slim to none. The direct purchase on the web site opens an email to sales. The product maybe cool but the marketing does not inspire confidence. I am using 2 remotecontrol apps on my Ipad. Ipeng and Squeezepad. They are VERY good and easy to use. I can understand the DAC in the Auralic is better than the one in the SB Touch. Now, if i bought the Auralic would it give me better sound than the SB Touch? I mean, does the sound get better if the streamer has a better dac, although its still connected to the superior DAC in my Amp? Is The Lightning DS app just as good as the Squeezepad? On the iPhone, LDS is *better* than Squeezepad. On the iPad it is not…yet. The iPhone version is being ported over as we speak. As for the Mini vs SBT as digital streamers, I don’t know as I’ve not done that comparison. I have no desire to buy any streaming service. If they lose money in the USA by selling it with Tidal then sell it without the Tidal for $399. Otherwise why tell us they lose money because it sounds like BS? I cannot seem to figure out how to access the “four ‘Flex filter’ modes” – any help would be greatly appreciated. Go to the device settings in the LDS app. Thanks. Switched from smooth to dynamic, seemed to improve both the treble & bass response! Now if they can do an Aries with an internal HDD and DAC, wouldn’t that be the perfect device? I presume there will be technical challenges to having the hdd internally and maintaining a low noise floor. The linear PSU is really worth getting! John, I don’t see the Auralic Aries Mini on the DARKO DAC Index. Thanks for all the reviews, really enjoy reading them. David.